I can then use this together with the criteria you input to ensure I recommend the most suitable room for what you want to play. Choosing where to play online poker is an important step. 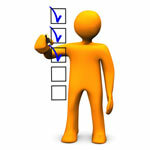 There are many criteria that you need to consider. The most important is to make sure that you are choosing an established and secure poker site that is regulated by a proper authority. Another factor to consider is choosing the most suitable poker site for the type, format and stakes of poker game that you want to play. Poker Sites come in all shapes and sizes and some are better for some poker games, or stakes than others. There are probably another 5 or 6 really important factors to consider as well. For a full guide you should take a look at our Beginners Guide to Online Poker which details what you should be looking for when selecting an Online Poker Site. Another really interesting guide you should read is our 10 Things to Expect from an Online Poker Site to make sure that you understand what good poker rooms will offer which you can then compare to the room you have chosen to ensure you are getting full value as a customer in one of the most competitive markets on the internet. Once you have selected a poker room to play at then we also have a guide showing you How to get Started Playing Online Poker which will guide you through the 5 steps to getting registered and up and running playing in a game of poker. Of course if choosing the right room is a bit overwhelming, which we fully understand it can be for new players without any knowledge of the industry then you can use our Poker Finder tool. 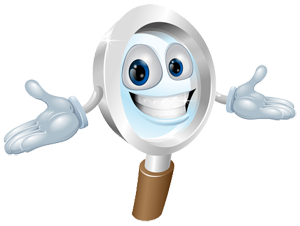 We have developed the Poker Finder to monitor all online poker sites regularly and perform a series of tests and checks on these sites. We then combine this with our many years of industry experience to be able to provide you with a tool that can recommend the most suitable room based on the criteria you input. Of course we know all the rogue operators and which to blacklist, so only established and reputable sites will be recommended. Return to the top of the page to give the Poker Finder a try.